University of Texas BFA grad Marsha Riti worked at her first creative love, ceramics before she saw an opportunity to make some extra money with her studio art craft — illustrating books for children. She did some additional study (including taking my class at the AMOA Art School), joined the Austin chapter of the Society of Children’s Book Writers and Illustrators and built up her portfolio. Eventually she landed the assignment from Pelican Press to illustrate the picture book The Picky Little Witch by Elizabeth Brokamp. In these excerpts from a video interview she did for students of the Make Your Splashes – Make Your Marks! 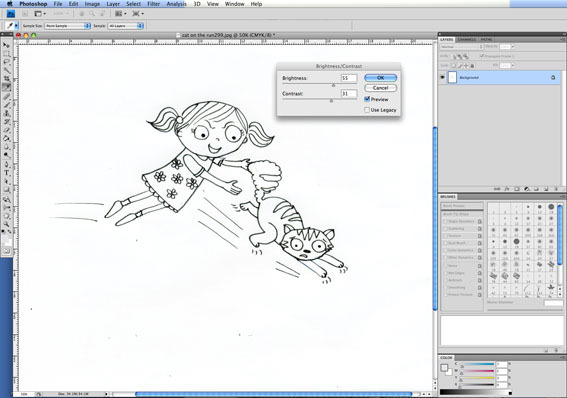 online course, Marsha shares her process for illustrating a picture book. Her technique of patching together and occasionally manipulating her watercolor illustrations in Photoshop has served her well. Her blog that she fills with her images and interviews with her illustrator and artists friends caught the attention of an agent, which led to a contract to illustrate a series of chapter books for the Little Simon imprint of Simon & Schuster. 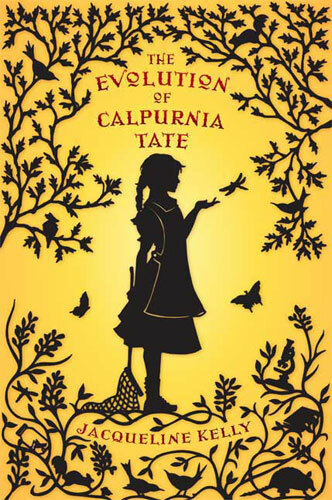 In the slideshow below you can see Marsha garbed as her witch-in-training heroine at last month’s book launch party. She’s joined by friends from her Austin SCBWI illustrators’ critique group, the Girlustrators who came out to support, babes and broomsticks in tow. Marsha Riti signs at BookPeople, surrounded by her Girlustrator pals. book app contest by InteractBooks. The first place winner in the contest for creating an interactive book using the InteractBuilder software received an iPad2 and a publishing contract. Other contestants received prizes, too. Coming in fourth and neck in neck with third place – CAE Club gets Ready for a Great and Scary Halloween by Ann Kesselman. Stand by for some videos about the entries, an interview with the winner and news about the next InteractBooks contest. Read a fun post by South African artist and new student Helga Pearson about the Marsha Riti interview and her experience of her first lessons of the Marks and Splashes course. Find out more about the Make Your Splashes – Make Your Marks! online course on illustrating children’s books in a changing publishing world. Children’s book illustrator and surface pattern designer Sarah Wade of Design House Studios in Ipswich, England has put together a short Photoshop tutorial for us. We’ll get right to work with it in a minute. But first let’s meet the two characters she’ll feature in her tutorial. Hey Pretty Kitty from Sarah Wade on Vimeo. 1.) 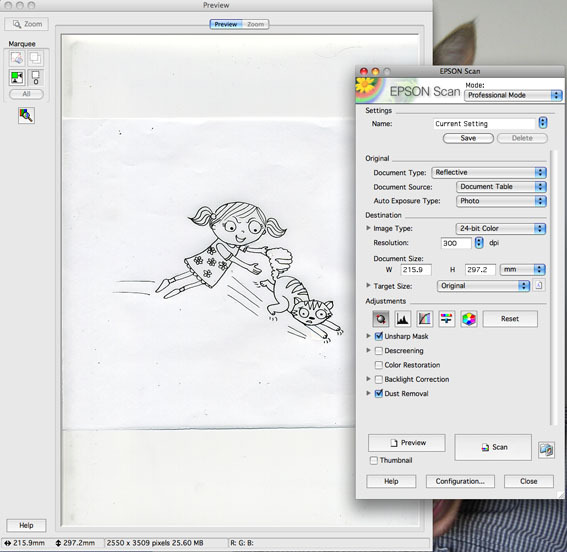 Create your line art and scan at 300 dpi. I tend to use fine liners on layout paper to create my illustrations. Layout paper allows you to trace up consistent elements within a series of illustrations. This works really well if you are animating characters. Adjust the contrast and brightness of your image to ensure that you have a crisp white background and solid black line work – this will make it easier for you to select areas when colouring up. Also remove any marks and blemishes that might have appeared during the scanning process. You will need to select the Eraser Tool to do this. 3.) 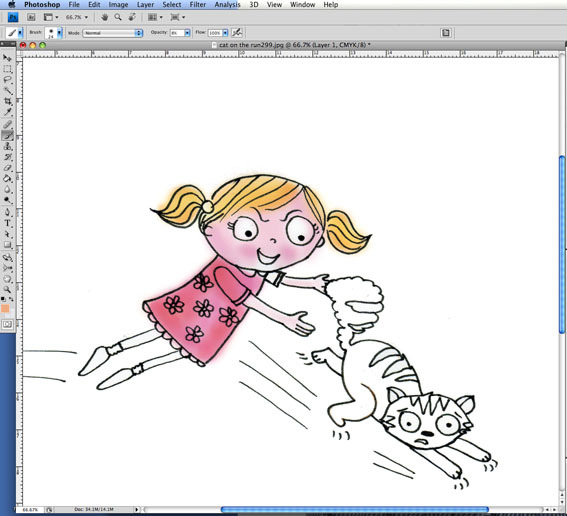 Using the Magic Wand tool, select the area that you would like to colour first. You can hold down the shift key to select multiple areas. Adjusting the tolerance settings at the top of the tool bar will allow you to determine how much of an area you select. As we are working with black and white imagery a high tolerance of about 90 will be most suitable. When the area has been selected use the Colour Picker to choose the colour you would like to use. 4.) Now you can select your brush. Choose the Brush tool from the tools panel – this will automatically open the Brush Palette. Here you can adjust the size of your brush and it’s softness. Have a play around with different types of brushes to find one that suits your illustration. 5.) Once your brush is selected you can start to colour. The brush will only effect the area which you have selected with the Magic Wand tool. To deselect an area use Select > Deselect from the menu. Work your way around the image until all areas are coloured. Adjusting the brush opacity in the header bar will help you to create a layered, painterly style. 6.) 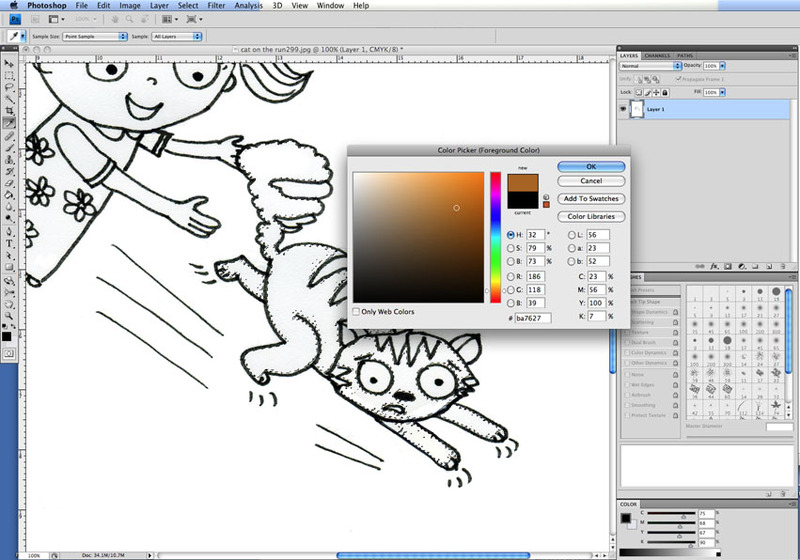 Once your image is coloured up in full , use a smaller brush to make slight adjustments. And there you have it! OK, now you can watch the video again! Sarah studied Graphic Design at Northampton University, specializing in Illustration. She graduated in 2004. ” I went on to work within two large studios that produced designs for giftware and children’s book publishing.” she says. Sarah’s gracious guest post demonstrates that children’s book artists on the other side of the Atlantic are just as fun, creative, charming and nice as…well, we are. We’re speaking in generalities, of course. Sarah and I discovered we had one more connecting point besides our involvement with kid lit art: We’re both students of Salsa dance. And it just so happens that my Rueda Salsa instructor, Esther Weekes is from Ipswich, England. Esther and Sarah do not know each other, but perhaps someday they will. The world does seem to get smaller every day. But she tells us, “It is just something that I have been experimenting with at the moment, but I love how it gives characters a whole other dimension! Thank you, Sarah! It’s been a total treat. Btw, your video makes my day each time I look at it and I look forward to seeing more! 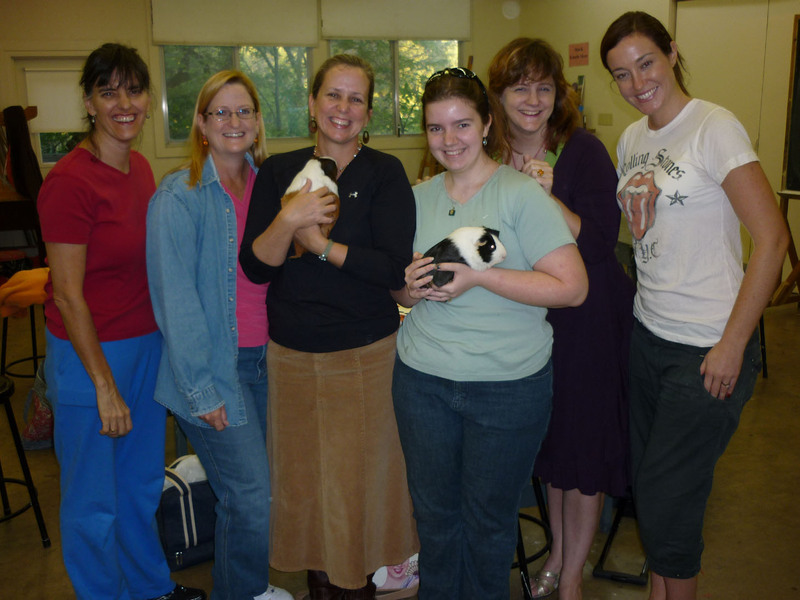 Austin SCBWI – Picture Perfect! Will you be anywhere near Austin, Texas around Saturday, October 9th? All right, then. 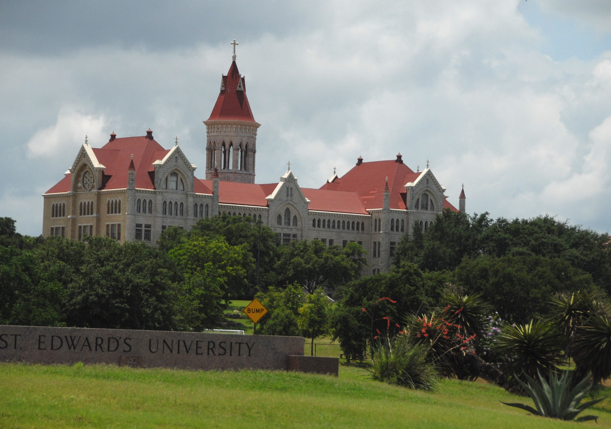 Mark your calendars for Saturday, October 9th when the Austin SCBWI chapter will meet at beautiful St. Edwards University to enjoy an intensive one-day workshop for author-illustrators, Picture Perfect! This professional workshop (we did say spit and polish, remember) will help hone your children’s picture book manuscripts and illustrations to radiant perfection. 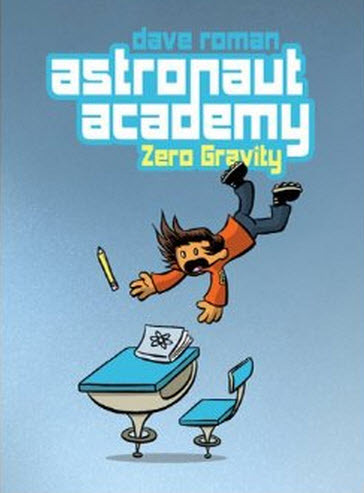 Author Lisa Wheeler will present the keynote and other author-illustrators will offer presentations and critiques. Here’s the complete faculty lineup. Lisa Wheeler has written 17 books for children. 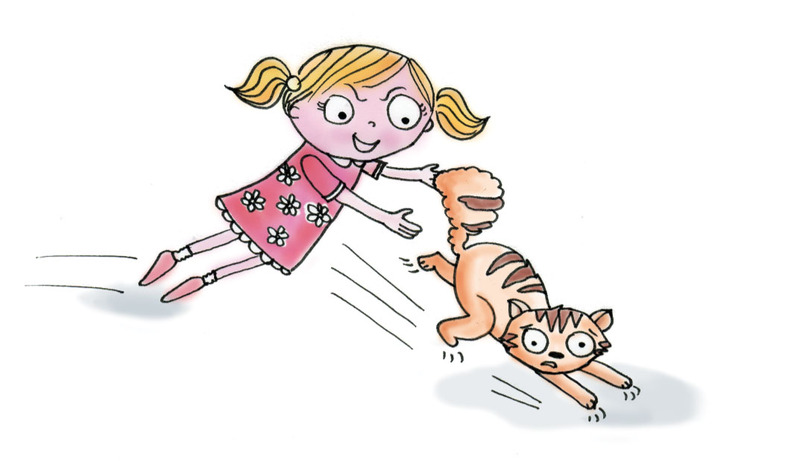 Her most recent picture book for Atheneum is the hilarious Castaway Cats, illustrated by Ponder Gombel. Learn more about Lisa on her website at www.lisawheelerbooks.com. 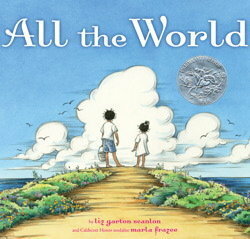 Sarah Sullivan who has written three picture books. Her latest, Passing Music Down, published by Candlewick is forthcoming very soon. Learn more about Sarah on her website at www.sarahsullivanbooks.com. Stephanie Greene is a master of the series chapter book. Stephanie has written the Moose and Hildy and Owen Foote series, several middle-grade novels, has earned Horn Book’s coveted starred review for her latest…Happy Birthday Sophie Hartley. Learn more about Stephanie at www.stephaniegreenebooks.com. Don Tate who is an illustrator of children’s books and educational products. His background includes illustration as well as graphic design in the areas of advertising, educational publishing, and visual journalism. Learn more about Don at www.dontate.com. Laura Jennings who is a freelance illustrator living in Austin, Texas. Download the full brochure with the registration form and all details about fees, , schedule of events, and portfolio review information here. You can also get it from the Austin SCBWI website. Notice # 2: Manuscript critique slots are filled — but there are still some portfolio review slots left, illustrators! PSIcon is set for September 25, 2010 at Pittsburgh Technical Institute, Oakdale, PA. Keynote speaker is Karen Kohn, Senior Art Director at Carus Publishing Company, publishers of Cricket, Ask and Ladybug. Karen will speak about the various types of illustration styles their publications look for as well as new developed apps soon to be released. Karen often finds new illustration talent to use throughout the publications from speaking engagements. She’ll be reviewing portfolios as well. Six additional industry-wide speakers are planned. The one day conference is 8 am – 6 pm. It will be valuable to all levels of experience. Seasoned professionals and young talent alike will benefit. Light breakfast and lunch included. 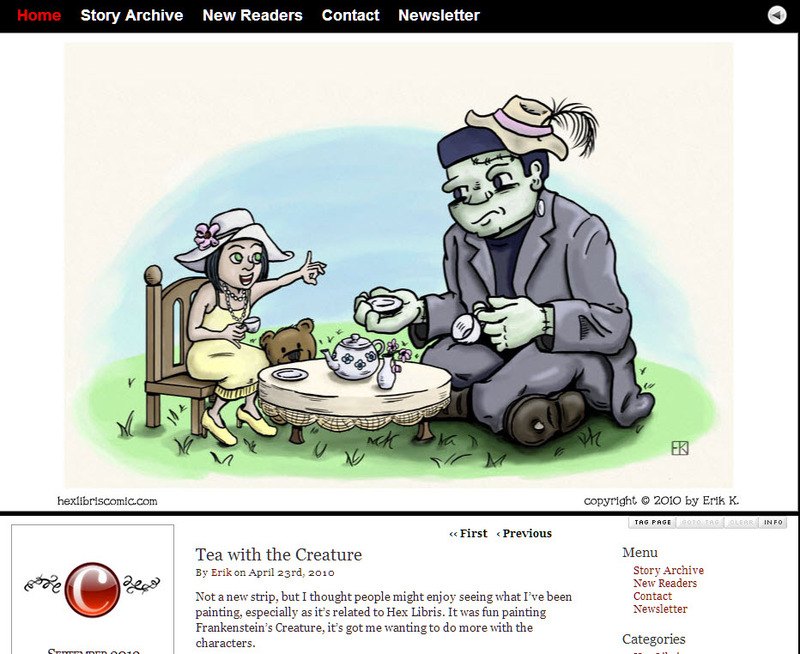 Author-illustrator Mark Mitchell of Austin, Texas hosts this blog. 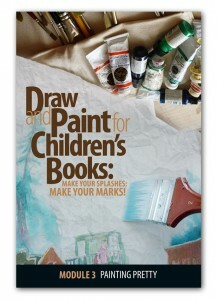 Check out his online course on drawing and painting for chillren’s book illustration. 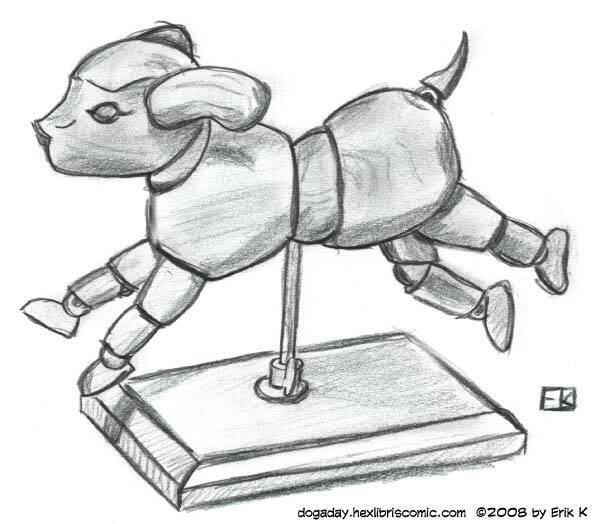 Cartoonist, comics artist-author, web designer Erik Kuntz drew a dog every day for a year. And now he can draw them out of his head quite easily. I know this because I saw him do it with my own eyes a few weeks ago. I was sitting across the table from him at Central Market Cafe at an Inklings critique session. He had his sketchbook out. (A lot of folks bring their sketchbooks to Inklings gatherings.) He was doodling as he listened to the various conversations that were going on around the table. Suddenly this friendly, rough and ready four pawed canine fellow appeared on the page — and everyone stopped talking. Erik never missed a day– and no one ever told him to do it. He talked with us a few weeks ago. Why a dog a day, Erik? I came up with the idea in 2000. I even designed a logo for it way back then. Somebody said if you do something everyday, it’s not possible to get worse at it. Some of the newer studies, like those quoted in Malcom Gladwell’s book Outliers have suggested that genius is over-rated. I read something about that in 2002. I thought I should force something ; I really should be drawing more. But I let my own personal insecurities get in the way. It did bother me for six years. I kept thinking, where would I be now in my skill if I’d put more effort into it years ago. 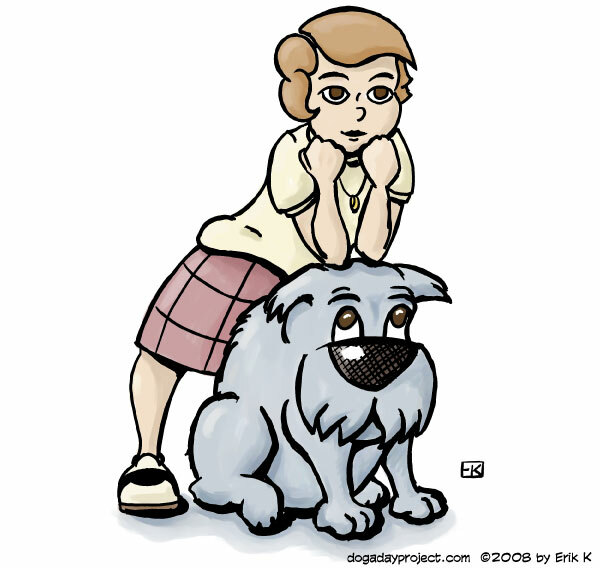 On January 1, 2008, I launched my web comic Hex Libris and I thought, as as long as I’m doing this, I should start doing a dog a day at the same time. People like dogs. It’s not like doing a cat a day, because with cats you don’t get the huge difference — all the variations that you get with dogs. Dogs are funnier than cats and have more personality. I knew more ideas would come from them. Plus I was working on a children’s book about a Dalmation, and I knew that the reason I wasn’t drawing the way I wanted to was because it’s easier to just not work. And so how did you proceed? As best I could. I tried to do them in one sitting. Some of the pieces would take more than one day. Generally they took a couple of hours. I didn’t intend for them to take me as long as they did. Some days I wished I had more time — and came away a little bit discouraged. But as I started to improve and become more proud of the stuff I was doing, I would ask myself, what do I need to put into this image to make it a piece I’m happy with? I worked mainly with a Wacom tablet. I discovered that the ‘happy accidents’ that you often get in watercolor –can happen in digital mediums, too. Working digitally you could just go back and work it to death. I put them up on the web as I completed them to keep myself honest. I never missed one. But one day something happened to my webserver and the dog that had been up went down. And I heard from eight people. How did you give yourself ideas? There were some days when I would sit down and just not know what I was going to do. Often I would begin by noodling around with the Wacom. 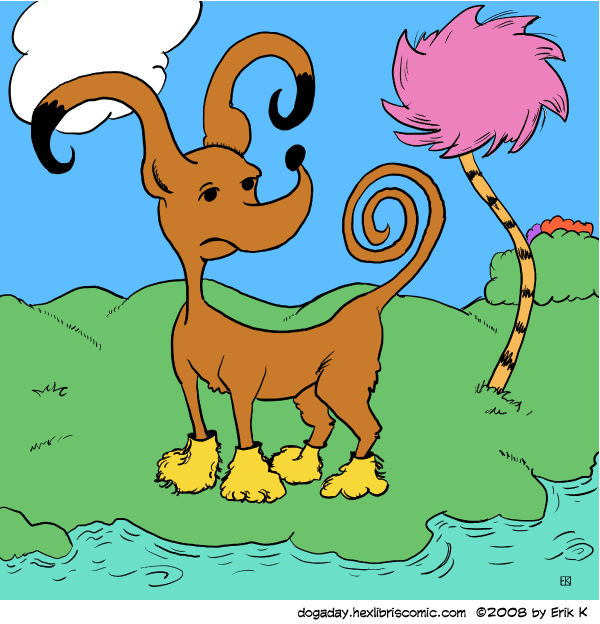 For the one dog I did in complementary colors, I just put on a sphere and started to form a dog out of this. I spent an hour and a half on that, just finding the dog hiding in the raw thing. Some of the dogs I did with Bic pen or Sharpie marker on typing paper. Sometimes I would scan these and repaint them digitally. People would send me ideas. Some people would send me photos of dogs and I did drawings. 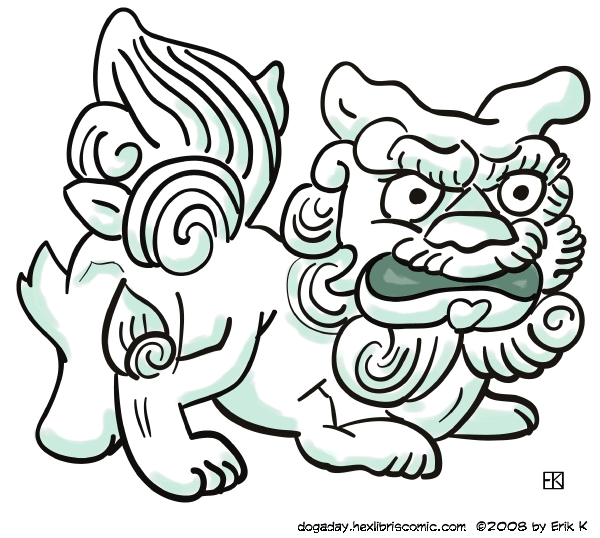 Some days I would search the web for interesting dogs. Some days I would work completely from my imagination. I would do these three minute-dogs, stopwatch running. I’d start with a really loose gesture, with some fuzzy notion of an action or a composition. I’d work really rough and light with blue pencil on paper, or the blue digital pencil on the computer. I used to be one of those kinds of people that tried to get every line right and I was really slow and cramped in my drawing. I felt like there was some sort of freedom missing in it. And now, the book: You’ve repackaged your drawings in a new format! I was thinking initially of a small run of books that would be a Christmas present for family and some friends. I started with one print on demand publisher but had problems with their color. Later I turned to CreateSpace, owned by Amazon. They were substantially cheaper but they didn’t have the high grade glossy paper. But now the book is available through their store. I’ve designed books in the past, but never an art book. I used Adobe InDesign, which is a great program. 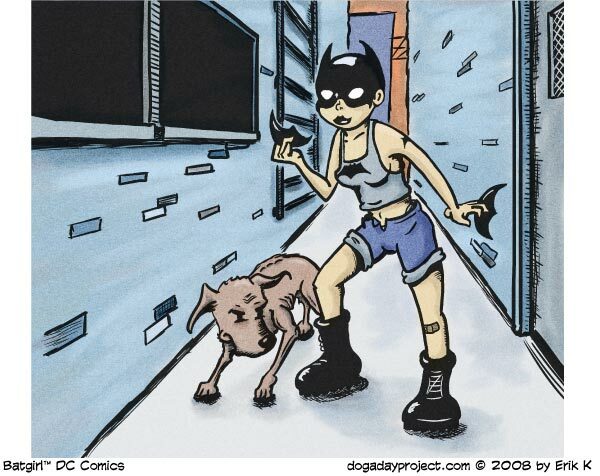 You know, the Dog a Day project was never meant to be anything commercial. It was meant to improve my skills and yes it did. The idea was to challenge yourself and accept that if it wasn’t very good, then at least you drew. I’m still drawing every day. 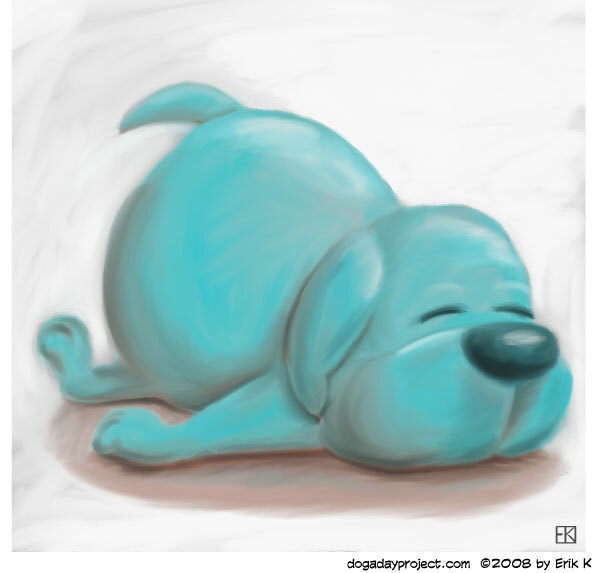 And, yeah, I can draw dogs with my eyes closed — no peeking. 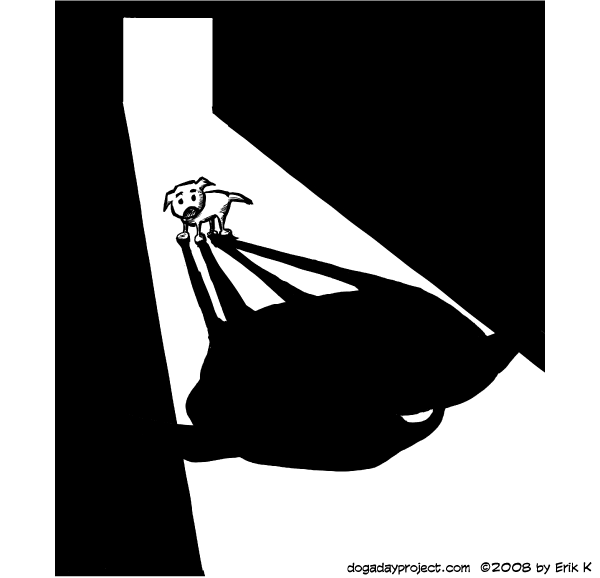 You can order your personalized softcover copy of “A Dog A Day” at Erik’s webstore here. Erik is also the creator of what is probably the most charming comic created for the web, the kid-friendly Hex Libris . Since its launch on January 1, 2008, the series has been unfolding a narrative about Kirby, caretaker of a magical library and his fictional friends. (They range from a Nancy Drew-like character and her big dog Watson — to Frankenstein’s very literate monster.) You can read our early interview with Erik about Hex Libris here . The narrator in the “Dog a Day Project” video, of course, is Erik’s wife, brilliant actress, comedian writer Maggie Gallant. They met in London while both working on start-up team for America Online – UK . 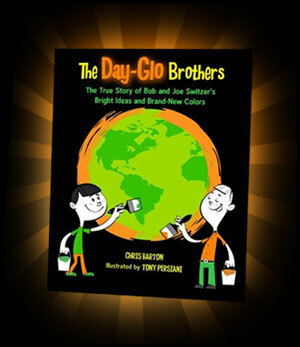 Author Cynthia Leitich Smith interviews author Chris Barton on the publication of his picture book bio “The Day Go Brothers: The True Story of Bogb and Joe Switzer’s Bright Ideas and Brand New Colors” (Charlesbridge, 2009) illustrated by Tony Persiani. The book has been getting great reviews and you can learn how to enter to win a free copy in the post in Cynthia’s blog Cynsations. 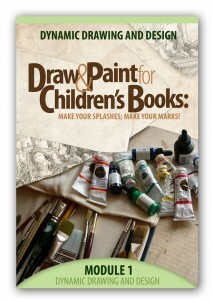 Mark Mitchell hosts the “How To Be A Children’s Book Illustrator” blog. 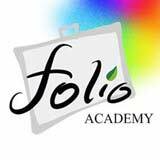 To enjoy some free watercolor lessons from his online course on how to illustrate a children’s book go here.